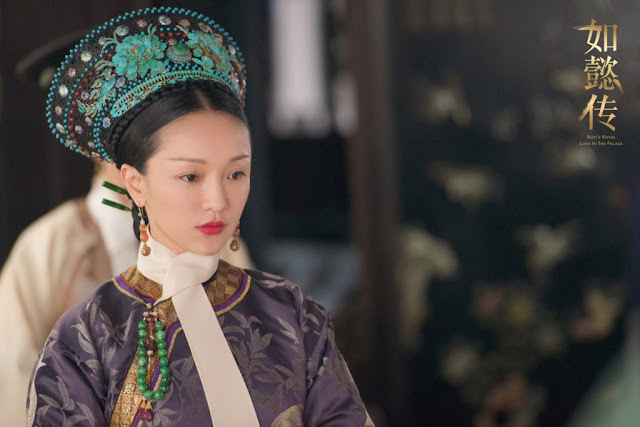 With no substantial competition just yet, Ruyi's Royal Love in the Palace has been leading online for several weeks, and I hear that the drama's getting good. All Out of Love climbs to second place on its first week of airing. 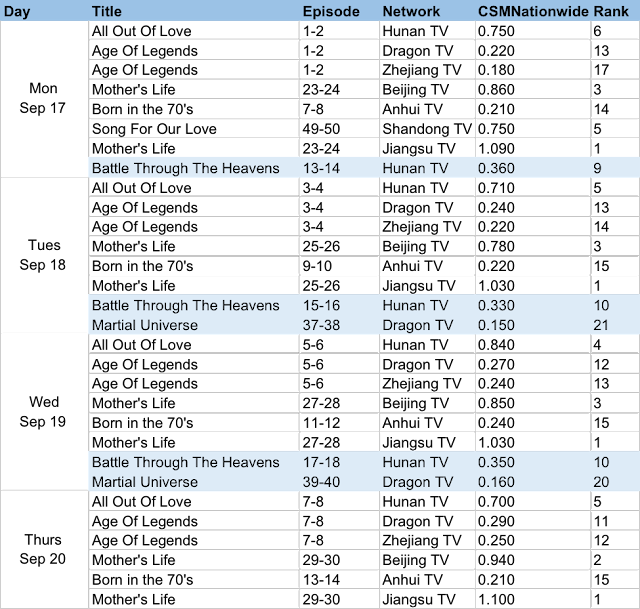 Age of Legends which premiered on the same day is not doing nearly as well though it also makes the top 10 dramas online. The leading men for both shows are neck and neck with William Chan in 8th and Wallace Chung in 9th. Ever since Mother's Life's Director spoke up against fake viewership ratings, it seems that TV ratings have stayed perpetually low and the lack of transparency has caused some parties to hold off on reporting the numbers. Even without a complete list for the week, Mother's Life is a clear winner as the only drama to break past 1%. 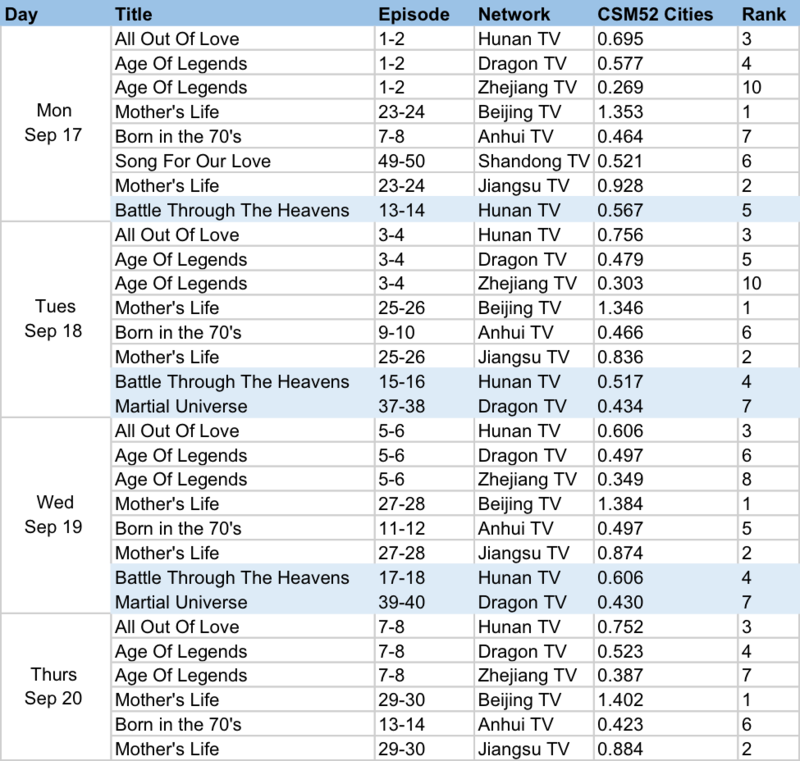 Martial Universe spends its final week with CSM52 ratings around 0.4%. Glad Ruyi is topping the web rankings. It has definitely gotten better. Like its prequel, The Legend of Zhen Huan, it has a kind of a slow start, but really picks up momentum later on. All out Love ratings should be .853 for the 19th. I only remember in part because I've read articles on how it successfully saved Hunan's poor ratings lately. It's likely to hit 1 soon since its already peaking at .98 during broadcast. I am happy Ashes of Love is still on top 5 but sad Age of Legend fell below cuz I do like Ma Sichun! !